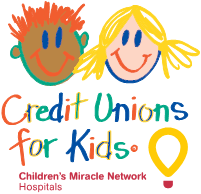 Our friends with Credit Unions for Kids will be donating $100,000 in December to Children’s Miracle Network Hospitals! Each day starting November 29 through December 20 you can vote for your local hospital Virginia Mason Memorial Hospital to help kids in our community. Sign up at www.voteformiracles.org today to receive a reminder to vote starting November 29. Thank you and remember to #VoteForMiracles!